I can back a truck! Well — It is Saturday (I think) and I have survived 4 days with my trainer Mark Turner. He picked me up on Wednesday and went to where the truck was and we got his truck organized. I tried so hard to pack lightly but so hard when you are packing for a month and not having any idea what the weather will be. Anyways, he gave me the bottom bunk which is way bigger and more comfortable. It has definitely been an experience. we delivered our first load to Little Rock, AR and then got our next assignment and that was to deliver to Laredo Texas, right on the border of Mexico. The minute we got in the truck he said “you are driving”. So I have done all the driving. We stayed at a truck stop on Wed. night and when we arrived at 6:30 at night it was 96 degrees out. Good thing I had some summer clothes with. We ended up having to go through border patrol, that took about an hour. We went to deliver on Thursday morning but had to go have a trailer inspection first and it did not pass. We had a damaged brake chamber so we then just did a drop and hook. 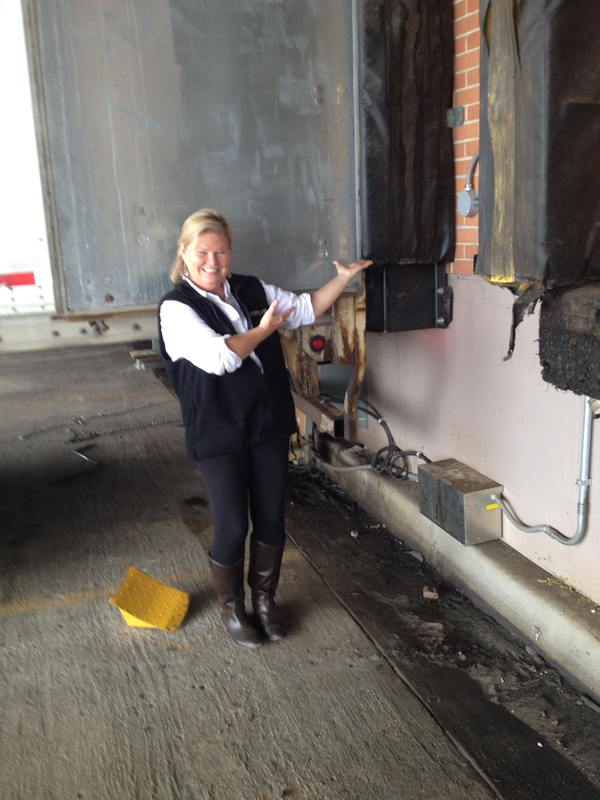 We left our trailer at the US Xpress terminal and someone was going to deliver it once the trailer was fixed. We picked up our new one. I actually backed up to it and clicked the fifth wheel in to the locking jaws and skid plate. We are delivering 37,000 pounds of hair products. For 2 days I have been driving to deliver this load in Maryland by Monday at noon. Houston traffic was a little scary. Bumper to bumper 8 lanes and trying to switch lanes in a semi is not very easy. Other semis are very nice and they let me in. I told Tom it is going pretty well although, I sometimes forget there is that huge trailer behind me, probably not a good thing. I am on my way to Baltimore, via Louisianna, Mississippi, Alabama, (the apalacian Mountains) Gerogia, Virginia and on up the east coast. One good thing is I usually like to eat snacks while I am driving and I am totally 2 hands on the wheel at all times. No time for snacks. Tom and I talk and exchange crazy stories. We may cross paths on the freeway one of these days and may not even know it. He ran out of hours today so he can’t drive tomorrow. The DOT is so strict on the amount of hours we can work in a day to cut back on sleepy drivers. We are hoping to finish in about 22 days and tomorrow will be day 5 for me. I have 30 hours of driving in out of 150 so I’m off to a good start. I want to keep this short so not to bore you but I’m doing great at my driving. I want to thank everyone for their thoughts and prayers. Love you all! !